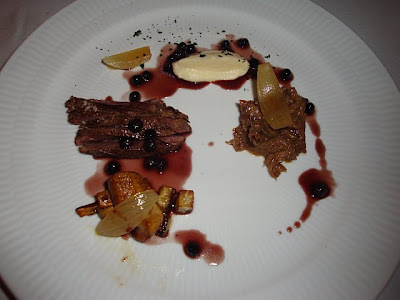 Icelandic cuisine is fresh and delicious - locally caught fish and free roaming lamb are common dishes that are always great. 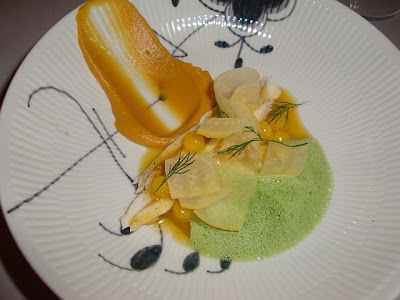 You can also find interesting delicacies like puffin, wild goose and rotten shark. 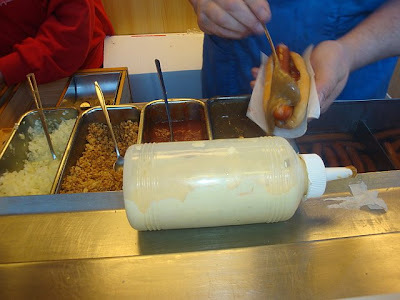 But Icelanders like their fast food too - so you can definitely get your fix of hot dogs, hamburgers and pizza. 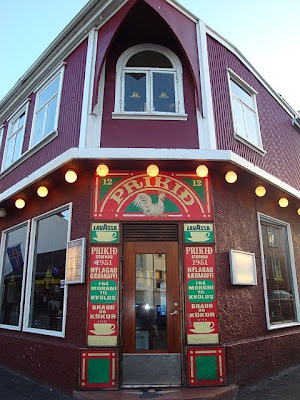 Our first meal was at Prikid Restaurant on Laugevegar- the main shopping and culture street. 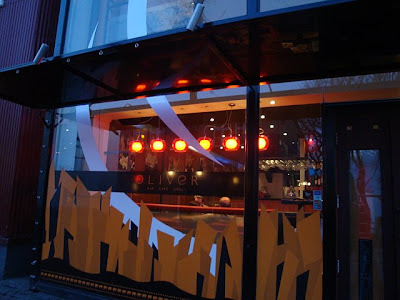 Inside, it looks like a bar downstairs, and in fact at night that's exactly what it turns into. 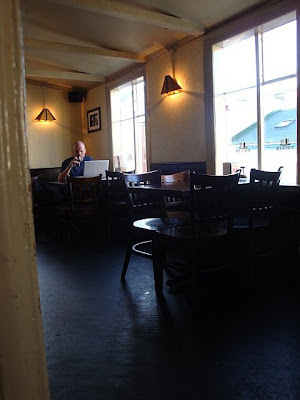 Just head upstairs for a table and you will be sitting right next to all the locals...this is a great spot. 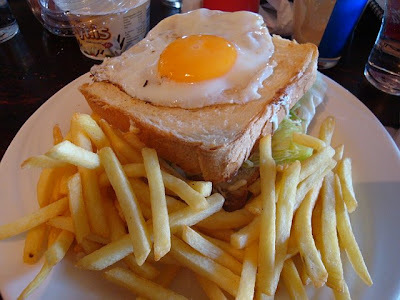 We had the "Hangover sandwich" a perfect combination of ham, cheese, bacon, egg, tomatoes, lettuce, garlic dressing and french fries. 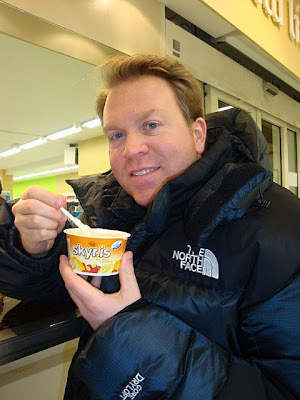 We also had our first Skyr- a must try in Iceland. Basically it is like a yogurt that is made out of cheese and has the consistency of creme brule. It comes in all different flavors like blueberry, strawberry, melon, etc. 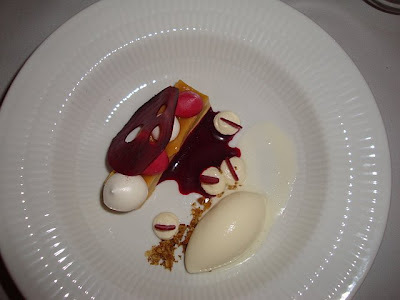 We ordered the vanilla which was delicious and became our favorite on the trip. 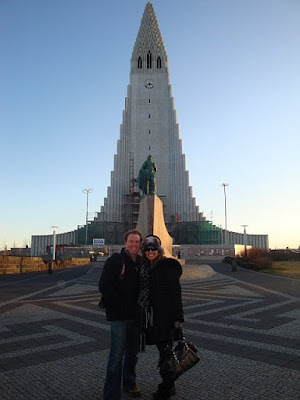 We continued our walk around the city and found our way over to Baejarins Beztu Pylsur- Icelandic for "The World's Best Hot dog." 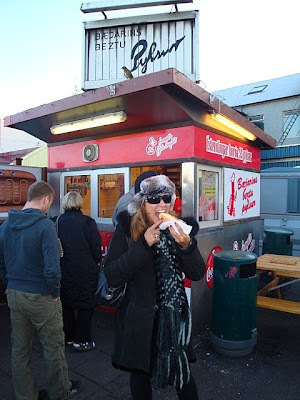 Icelanders are very much in love with hot dogs and they swear the best come from this stand. 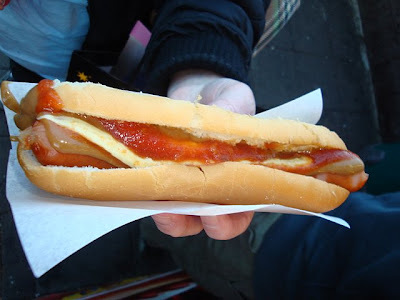 In fact, when President Bill Clinton visited Iceland, he patronised this hot dog. 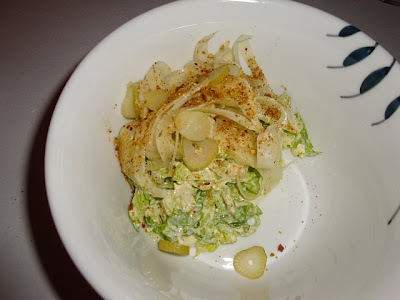 If you use the phrase "Eina med ollu" you will get "one with everything" which means it comes with ketchup, mustard, remoulade (their special sauce), and raw and fried onions. The hot dogs are about $280ISK each. Note: You can use your credit card and debit card everywhere in Iceland. It's definitely the more popular way to go than cash. You can even use it to buy your hot dog! Definitely not something you would find in the U.S. By this time, we were stuffed, and so we walked it off by heading to Hallgrimskirkja Church. Head to the top for some spectacular views of the city and the snow capped mountains. Entrance will cost you $400ISK. We continued over to the area of the city known as Skyline over to Saebraut which is the street along the water. 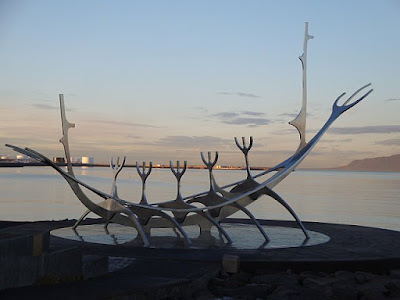 We took a picture in front of what the locals refer to as the Viking Ship or Sun Ferry. We thought we'd find a big wooden boat, but instead it's just made out of metal- pretty funny! 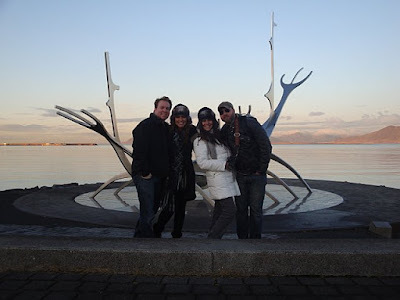 By this point we were ready for an Icelandic cocktail. 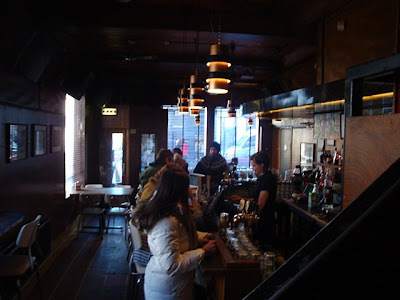 We made our way over to Cafe Oliver- one of Reykjavik's newest cafe-bars. This is a trendy and stylish bar/lounge that supposedly turns into a good nightclub Thursdays-Saturdays. 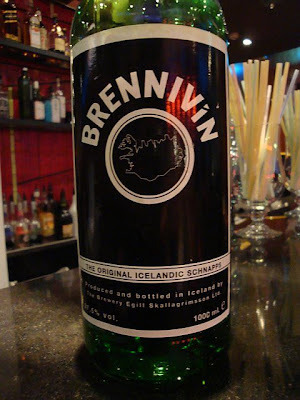 Brennivin is an Icelandic Schnapps and should be tried when in Iceland. 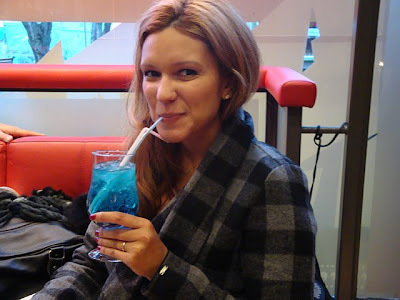 We ordered the Eskimo Mojito (rum, sugar, lime, fresh mint, soda & Icelandic Brennivin), the Blue Lagoon a la Oliver (Brennivin, Curacao Blue, Malibu, 7-up & Grenadin), and a Premium- a light colored Icelandic beer. Dinner that night was at Dill Restaurant. 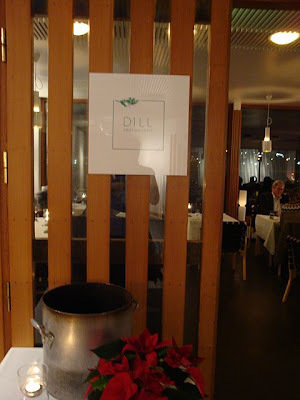 Dill is a new restaurant that just opened in February of 2009. It's located in the Nordic Cultural House in Reykjavik and is a small yet beautiful, clean space that is well designed. 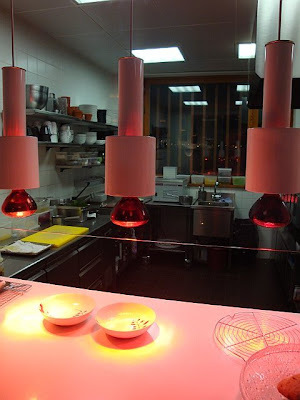 It has an open kitchen and the dining experience is multi sensory. This meal now ranks as one of the Top 5 Best Meals we have ever had while traveling. 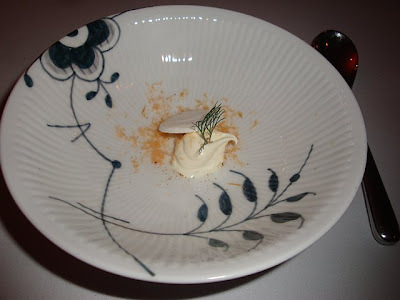 It reminded us a lot of the dinner we had at Alinea Restaurant in Chicago. 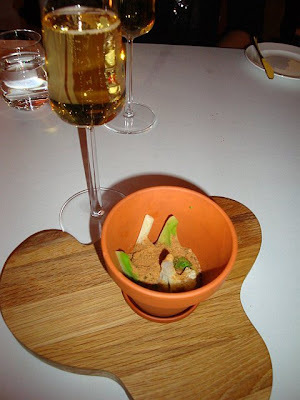 We had a 7-course dinner which began with a glass of champagne. 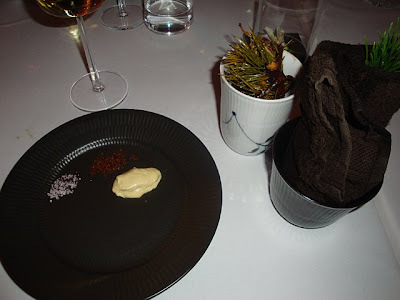 Then they gave us a flower pot filled with creamy dill dip with broccoli and cauliflower and some crumbled red pepper on top- AWESOME! That was followed by another amuse bouche of shaved smoked salmon with a ginger cracker, creme fraiche and a little piece of dill- of course. 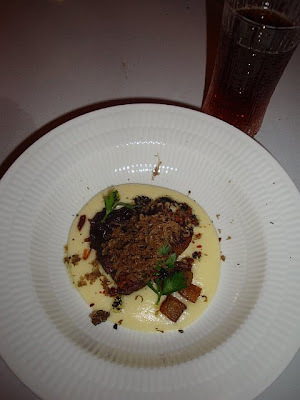 4- Potatoes, pickled onions, pork shoulder, smoked pork belly and truffles from Ragnar Olafs in Gotland. 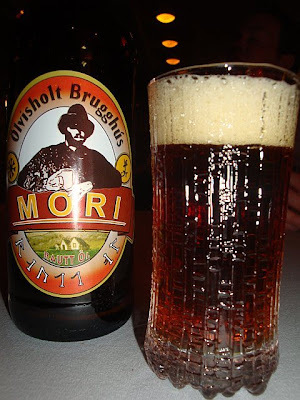 This was served with local beer that was similar in taste to a Guinness. 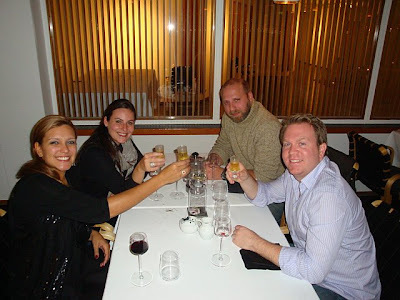 Price: Champagne, full menu, wine menu, coffee and after dinner drink= 19,000ISK What a great first day in Iceland! 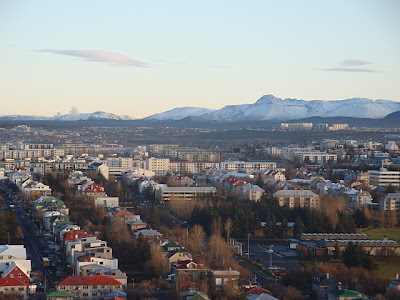 Tomorrow find out more about our time at one of Reykjavik's Geothermal Pools and the Golden Circle. Truly an amazing experience to share with you guys. I can't wait to go back & travel with you two again. We had a blast. 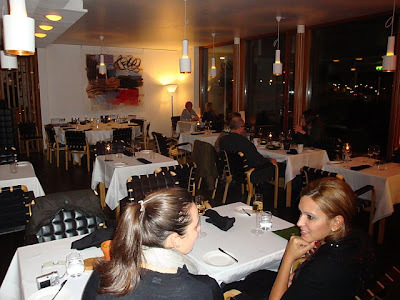 Look forward to seeing you soon again at DILL restaurant.